The host responded very quickly. The bedding was very comfortable. And the apartment is well-equipped and very clean! Well equipped kitchen. Good location. Good parking. Nice pillow cases and duvet cover. The online images do not do this apartment enough justice! Perfect size apartment for 2 people and the apartment was modern and clean. Everything is lovely and new and clean. 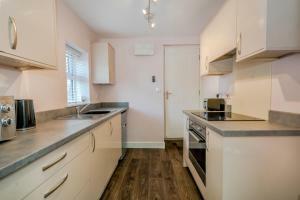 It's in a great location minutes walk from the centre of town. The bed and bedding was lovely and comfortable and there was everything else you could want. Great location. We stayed over due to us having an awards ceremony near by. Asda very close. Dominoes over the road. Such a nice apartment. Very neat and tidy. Modern. Cosy. Would definitely stay again if I was in the area! 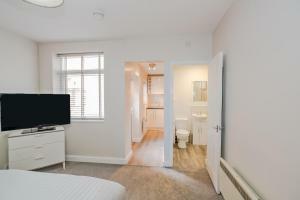 The apartments are in a great location and there’s parking which is really convenient. Apartment is clean and comfortable and close to the bars and shops. Lock in a great price for Cannock Hotel Apartments – rated 9.1 by recent guests! 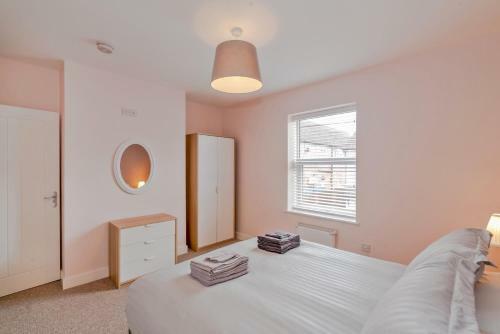 Cannock Hotel Apartments This rating is a reflection of how the property compares to the industry standard when it comes to price, facilities and services available. It's based on a self-evaluation by the property. Use this rating to help choose your stay! 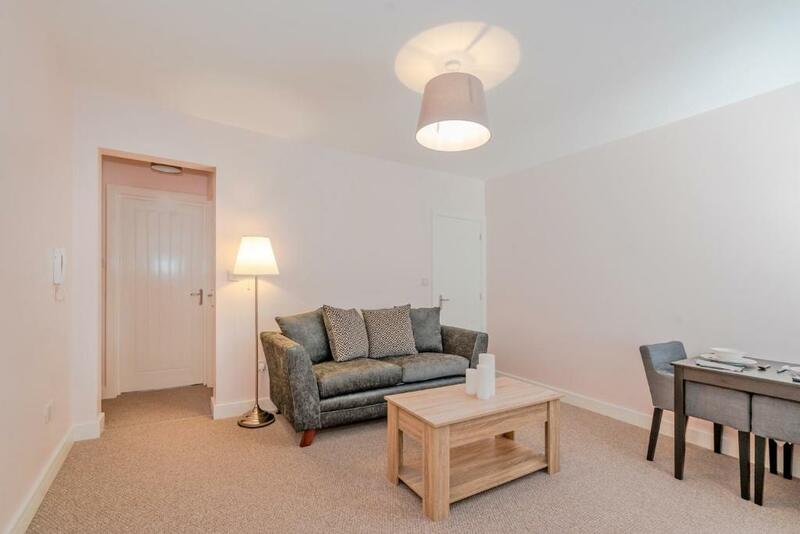 Located in Cannock, Cannock Hotel Apartments provides accommodations with a flat-screen TV. Free WiFi is offered. 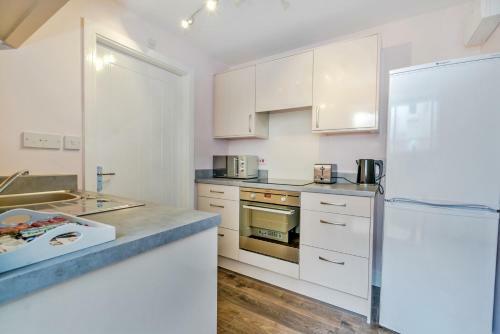 All units comprise a seating area, a dining area, and a fully equipped kitchen with various cooking facilities, including an oven, a microwave and a toaster. There's a fully equipped private bathroom with shower and free toiletries. Birmingham is 20 miles from the apartment, while Wolverhampton is 11 miles away. Birmingham Airport is 28 miles from the property. This property also has one of the top-rated locations in Cannock! Guests are happier about it compared to other properties in the area. When would you like to stay at Cannock Hotel Apartments? 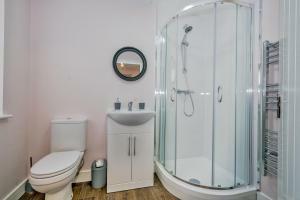 This apartment features a fully-equipped kitchen, a bathroom with a walk-in shower, and a flat-screen TV. Our apartments offer hotel quality comforts with the privacy of a private dwelling. They are situated In the heart of Cannock town centre just a stones throw away from the town centre with free parking. 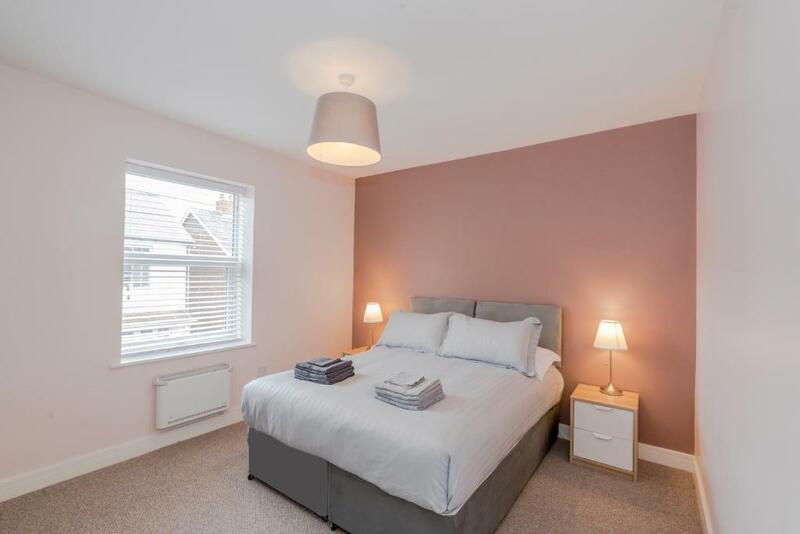 The accommodation comprises of a king or twin bedroom living room with a 42 inch smart TV and free broadband, a fully equipped kitchen and shower room. We also provide all bedding and towels as well as complimentary tea coffee and biscuits for all guest to enjoy! We are a small family run business offering serviced accommodation across a number of buildings in Cannock town center. We pride ourselves with a high standard of cleanliness and attention to detail. 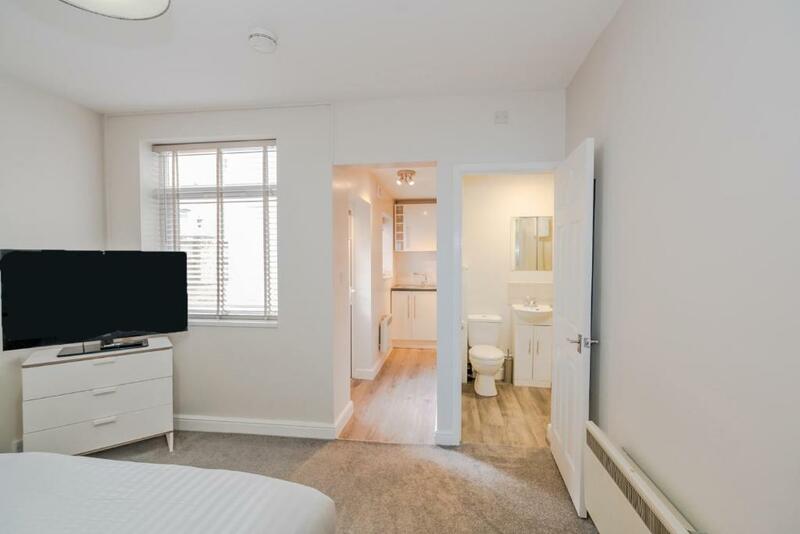 Our buildings are located in a quiet residential part of the town centre so you can have the freedom of a short walk to the bars and restaurants, with Weatherspoon's and dominos being on your front door. There is also 24hr supermarkets nearby as well as a main train line and bus station. Cannock is situated just off the A5 and being less than 10 minutes from junction 12 and 11 of the M6 motorway. House Rules Cannock Hotel Apartments takes special requests – add in the next step! The bed is too small and not so confortable. Small towels. WiFi no good for Netflix etc. Uncomfortable seating. Small towels. Noise from street. Signs not visible enough to find premises and parking easily. Car parking was tricky due to the size of our vehicle. Take a hairdryer - there is one, however it does not work. Not so much a didn’t like but could have made it even better would’ve been a full length mirror or dressing table in the apartment but not a criticism at all. The car parking spot for Apartment 4 means you have to bump up a full size curb (and down again). TV was set too high on the wall to watch comfortably. Bedroom is a long way from the shower/toilet which is not my preference. Rooms stated there was a dining/seating area in ALL rooms. This wasn't the case. Phoned Lisa who said we could upgrade but we'd unpacked etc and had gone out so stayed where we are. Lisa was very accommodating. Couldn't park my car so parked in your apartments over the road. Someone deliberately parked behind me ( even though the other spaces were vacant) so I was boxed in.